This was the weekend of getting stuff done. Actually, every weekend needs to be the weekend of getting stuff done, but somehow that doesn’t happen. If I haven’t mentioned it before, my husband and I (more my husband, less me) are remodeling our house. FOREVER remodeling our house. Right now we’re re-doing our upstairs bedrooms…all three of them. It’s going slowly, as usual. Since it’s summer, we’re also trying to make our outdoor spaces more livable so that we go out there more often. 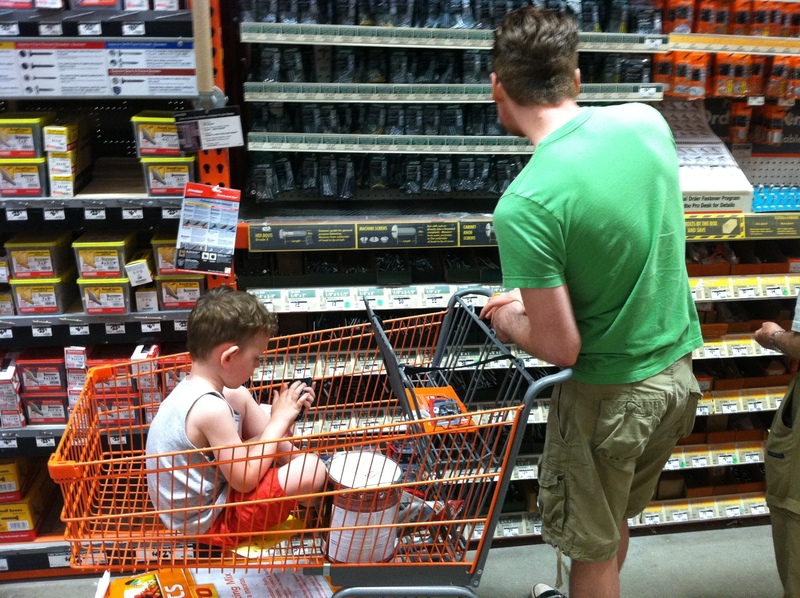 I always feel like we spend more time at Home Depot and Menard’s than we do actually doing any work…but that might just be because I really don’t like those places very much. This weekend I got the front yard looking pretty great…mulched, weeded, re-planted a bunch of stuff. 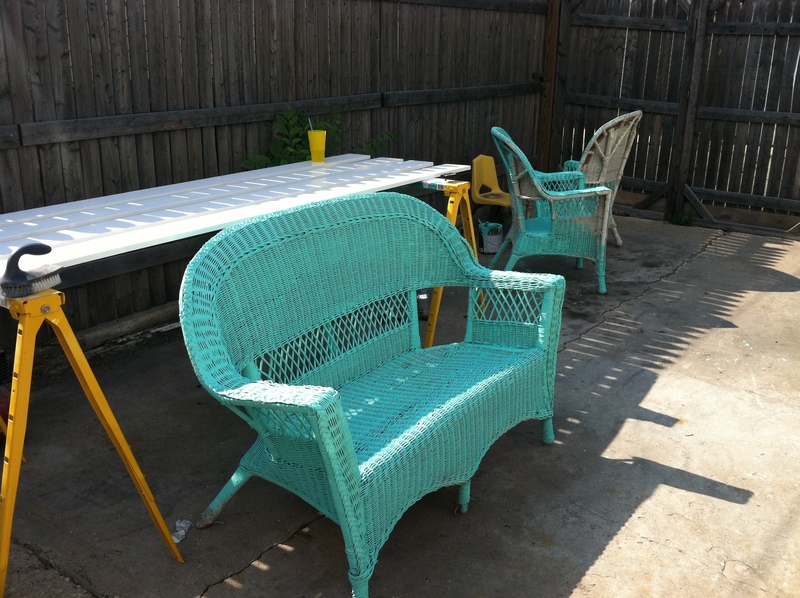 And meanwhile, in the backyard, Jason painted the wicker furniture that I found in the alley a while back. I love finds like that! Now all it needs are some cushions and we’re on our way to some outdoor living! So complicated baking projects were out of the question…but I had two quarts of strawberries that I needed to do something with ASAP. 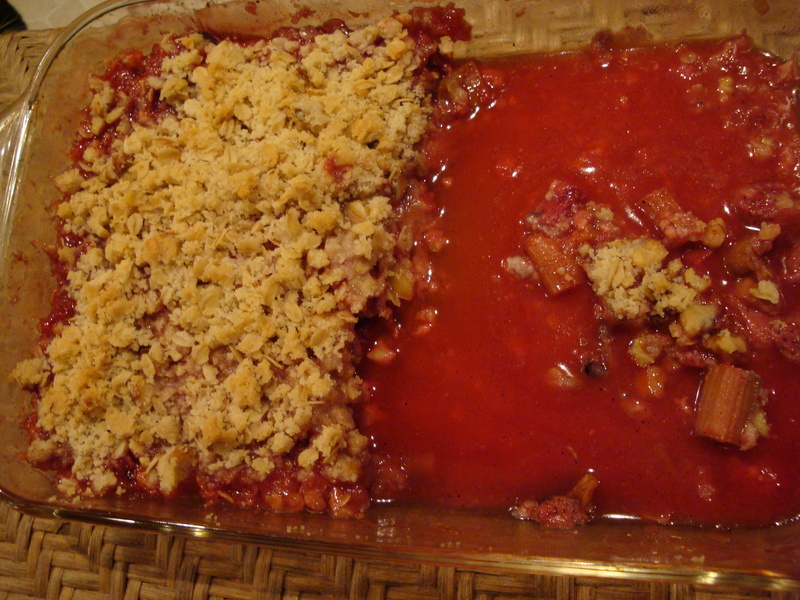 I saw this recipe on Martha Stewart’s website last week, and thought it would be the perfect quick dessert to use up most of the strawberries with. I love tarts, but making the pastry cream can be so time consuming and tedious. This was a great alternative, and who doesn’t like a dessert with cream cheese?? It reminds me of a dessert my Aunt Gigi always made for summer gatherings, especially the Fourth of July, strawberry pizza. 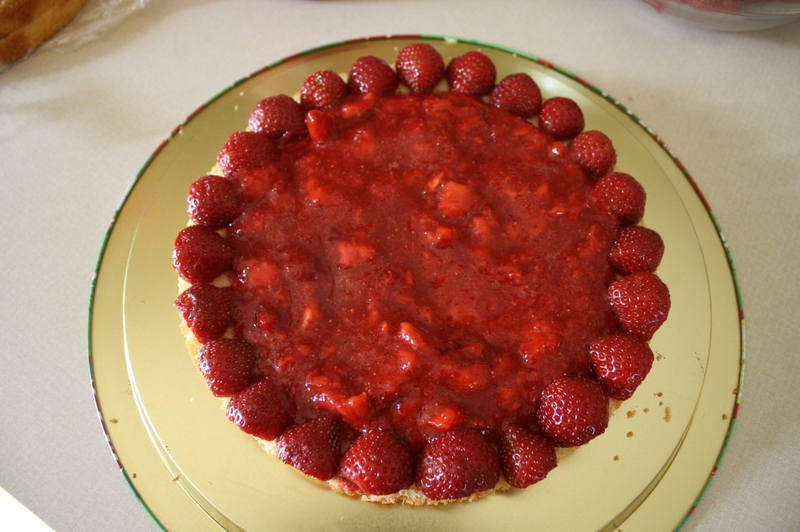 It’s the same idea, with a shortbread-type crust, cream cheese topping and fresh strawberries. This is even better I think, though, because it has about twice the amount of cream cheese filling…yum! Make the crust: Preheat oven to 350 degrees. In a food processor, blend flour, butter, 1/3 cup sugar, and salt until moist crumbs form (this may take up to 1 minute). Transfer dough to a 9-inch round tart pan with a removable bottom. With floured fingers, press dough evenly into pan and up sides. Dip a dry-measuring cup in flour, and use it to press dough firmly into bottom and against sides of pan. Freeze crust until firm, 10 to 15 minutes. Using a fork, prick crust all over. Bake until golden, 25 to 30 minutes, pressing down gently once or twice with a spoon during baking if crust puffs up. Cool completely in pan. Make the filling: In a medium bowl, mix cream cheese and remaining 1/4 cup sugar until smooth; spread mixture evenly in bottom of baked crust (still in tart pan). 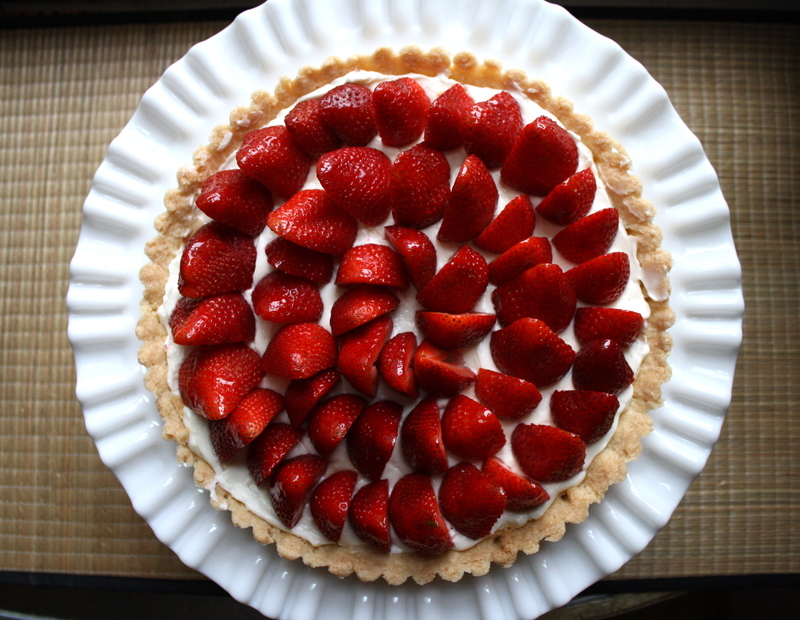 Starting from outside edge, arrange strawberry halves, stemmed side down, in tight concentric circles on cream cheese. 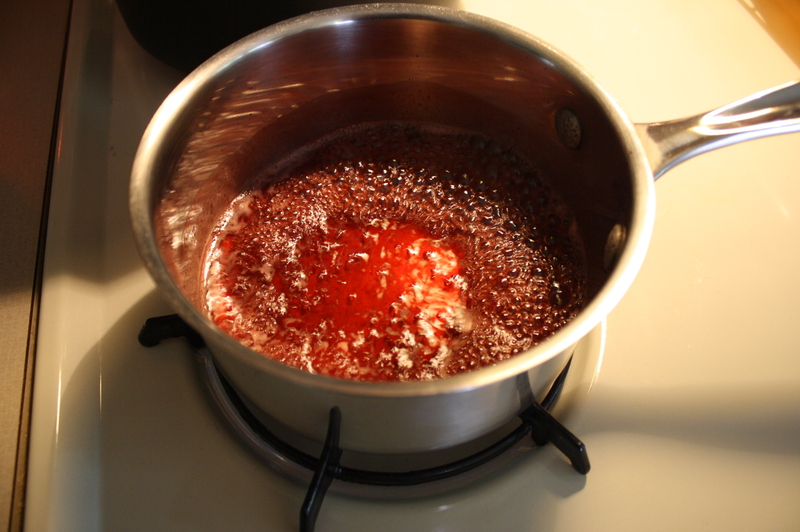 Microwave jelly in a small bowl until liquified, about 30 seconds (keep a close eye so it doesn’t boil). 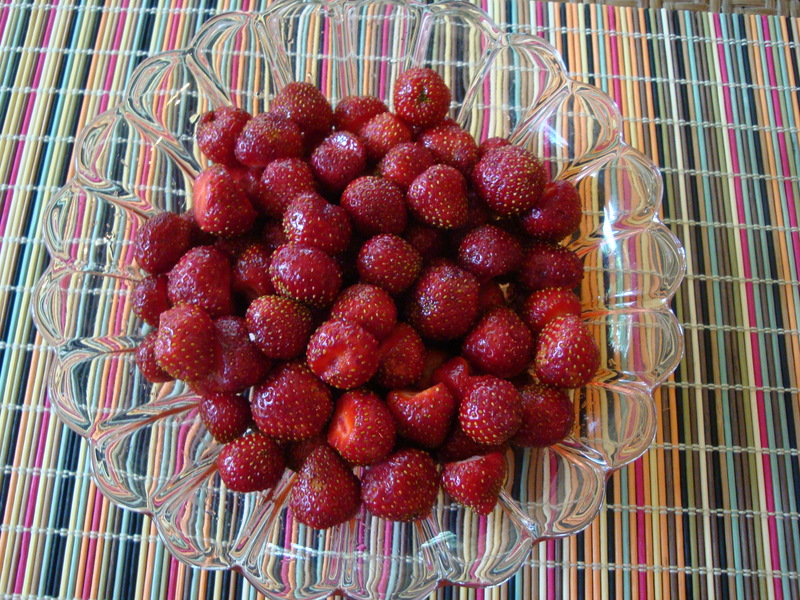 Gently brush strawberries with jelly; let set at least 20 minutes. Chill in pan at least 1 hour (and up to 6 hours); remove from pan just before serving. We’re kind of into strawberries around here. And I’ve been buying them like crazy this year, as usual, even though they’re not that great (all the rain around here made them kind of tasteless). Usually at my house we just eat them fresh with yogurt, or just, well, fresh. But since they don’t have a lot of flavor this year, I’ve been making desserts out of them (add lots of sugar and voila, they taste better! 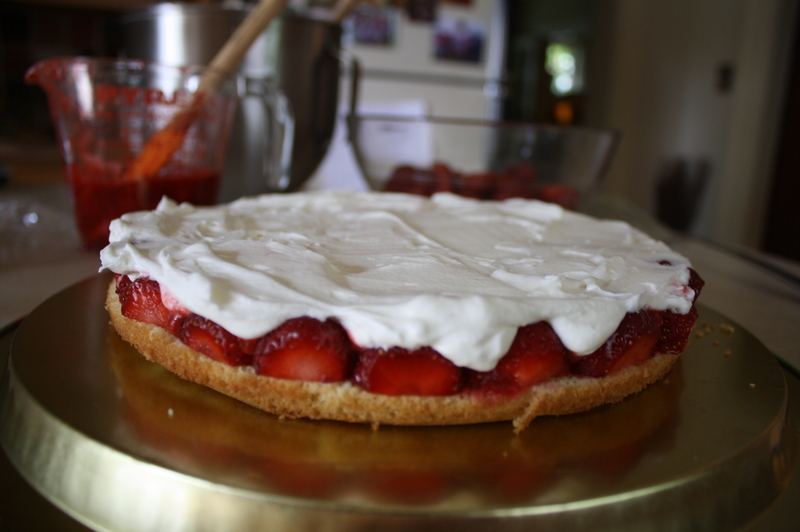 ), like strawberry pie, and this amazing strawberry shortcake. 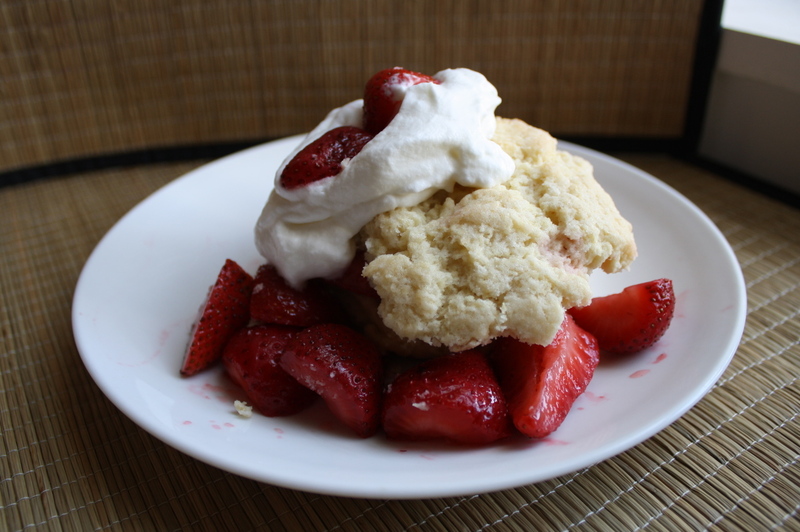 The strawberry shortcake I grew up on was basically a buttermilk biscuit recipe with a little more sugar in it. My husband grew up on angel food cake as the cake part. Both good, but this is so, so much better. The shortcake is so delicious that I’ve been just eating the leftovers plain-ahem-for breakfast. And the recipe is super easy since it’s done in the food processor. I was stressed because I didn’t start making it until after dinner, but it was no problem! If you don’t have a food processor, you can still make this recipe! But first….you should really invest in a food processor. It’s one of my most-used kitchen tools! Mine is a Cuisinart from the early 90’s that I got from my mom. (She hates to cook, but when I was a kid thought for a minute that she might like it and took a bunch of cooking classes and stocked our kitchen with fancy tools. Lucky for me, I have most of that stuff now.) Anyway, it’s a fantastic machine and if you can find a used one at a garage sale or something, it will most likely work great! But anyway, I’m guessing you’re not going to run out and buy a food processor for this recipe, so in the meantime…I’ll give you instructions below. 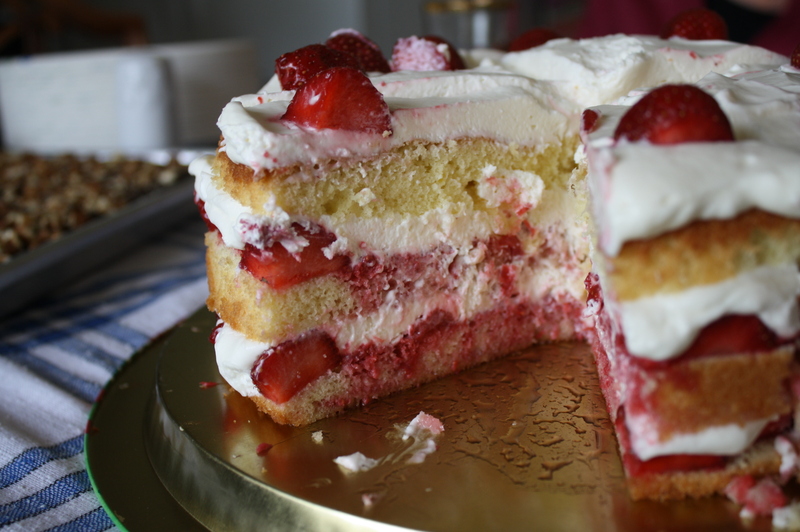 A while back we posted another recipe for Strawberry Shortcake. We might call it the shortcut shortcake because the “cake” is Joy of Cooking cream scones, which have only 4 main ingredients with heavy cream filling in for the butter and eggs. From looking at Margaux’s recipe, these will be much richer and probably more classically “shortcake” as we Americans would think of it for this dessert. I’m going to have to try this once we get strawberries up here in Minnesota. Our winter lasted into mid-May so we are waaaaaaaay behind! Hey, Margaux, how about we make these for breakfast at Wimbledon? In a food processor, pulse flour, baking powder, sugar, and the salt until combined. Add butter, and pulse until mixture resembles coarse meal but with some pea-size bits of butter remaining, 10 to 12 times. In a medium bowl, whisk together cream and the eggs; pour over flour mixture, and pulse until some large clumps begin to form, 25 to 30 times. If using a pastry cutter instead of a food processor: cut the butter into the dry ingredients in a large bowl using a pastry cutter until the mixture is a coarse meal, with some small chunks of butter. Whisk together the cream and eggs, pour into the butter and flour, and using a wooden spoon (or your hands, which is easier), mix together the mixture until large clumps form. Do not overmix. Using a half-cup measuring cup, gently pack dough, invert, and then tap out onto a baking sheet. Repeat to form 8 biscuits. Bake until lightly golden, about 20 minutes. Transfer to a rack to cool, about 15 minutes. Hull and quarter about 6 cups of strawberries. Mix them in a large bowl with about 1/2 cup of sugar. Let is sit for at least an hour, until they get nice and juicy. Beat 1 1/2 cups whipping cream with 2 tbsp sugar and 1/2 tsp vanilla until soft peaks form. When shortcake has completely cooled, you can carefully cut them in half lengthwise with a serrated bread knife. Add strawberries and whipped cream and serve! I made this for my Granny’s 86th birthday. 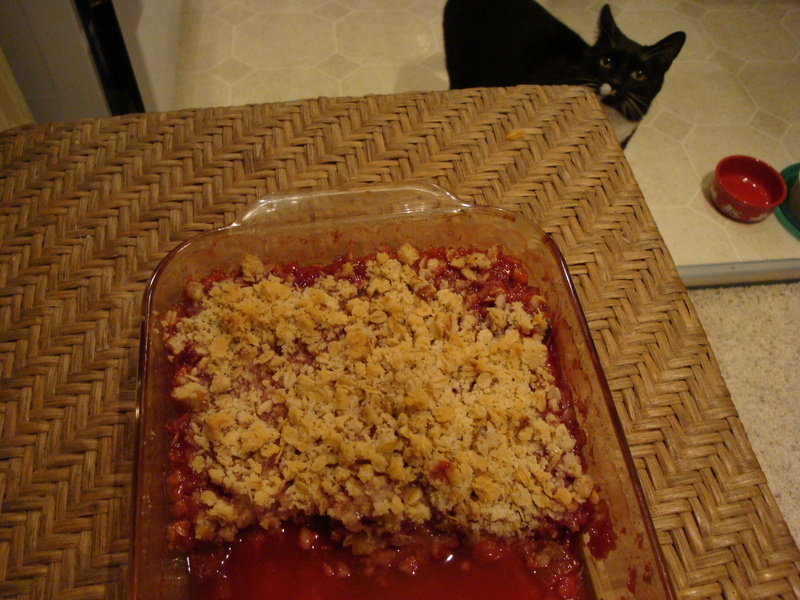 The strawberry season is much too short, and this year it seems even shorter (and even non-existent). All the strawberries I’ve gotten so far have been pretty flavorless, and when my mom went to get some for this cake, she said that they’re already gone from the farmer’s market in Peoria (IL). Luckily, Aunt Suzy (not knowing of my strawberry troubles) sent me a text on Tuesday asking if I wanted her to pick up a bucket of strawberries at a farmer’s market in Menomonie, WI that she stopped at on the way down for the party. YES! 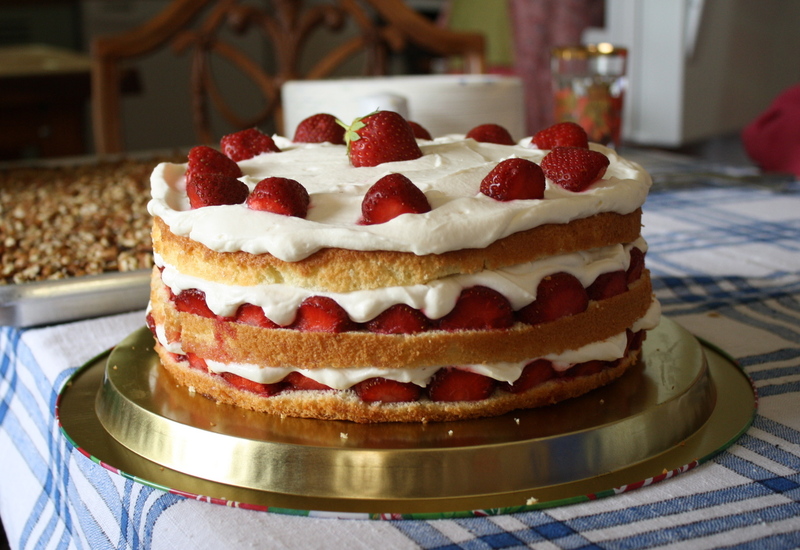 I was seriously considering buying supermarket strawberries because I was determined to make this cake! 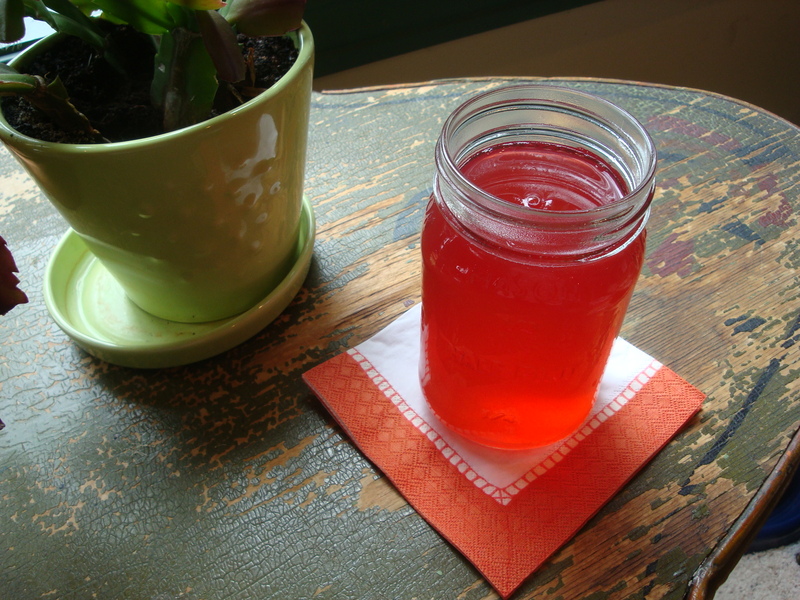 I’ve made it a few times over the years, and I was NOT going to let a strawberry season go by without making it. And the strawberries she got were the biggest, most beautiful and sweetest ones I’ve had this year. So my strawberry season went out with a bang! This cake isn’t the easiest to make, but it’s also not the most difficult. I think more than anything, it’s just time consuming, because you have to hull and slice all the strawberries. Otherwise, the cake is a cinch to make, and the frosting is just as easy! And it’s really fun to build. Adding the cream layer is a little tricky. I found it was easiest to place dollops on and then gently spread them outward to the edges. Voila! The cake is light and spongy, so the puree soaks in nicely. And the cream cheese/whipped cream topping is so velvety-smooth! It really is a crowning culinary achievement, and your friends will ooh and ahh when you bring it out! 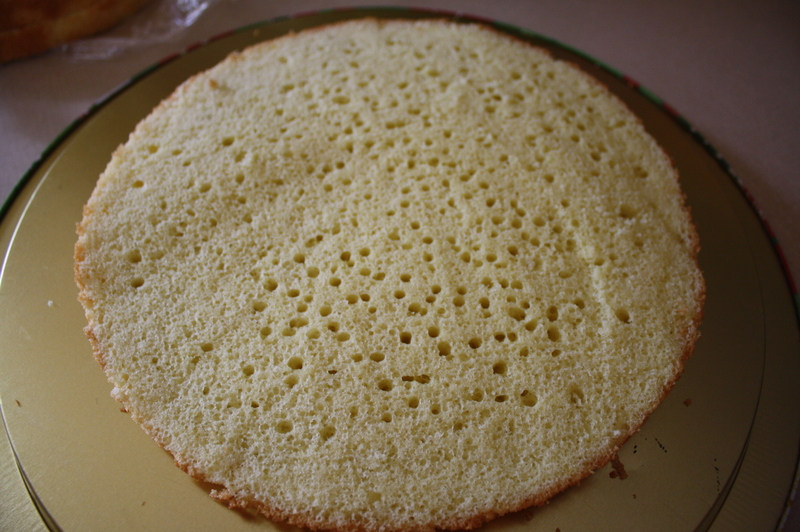 If using a cake pan, you will need one with straight sides that are at least 2 inches high; otherwise, use a springform pan. The cake portion can be made ahead of time, wrapped in a double layer of plastic wrap, and frozen; thaw the frozen cake, unwrapped, at room temperature for about two hours before proceeding with the recipe. 1. For the cake: Adjust oven rack to lower-middle position and heat oven to 325 degrees. Grease and flour round 9 x 2-inch cake pan or 9-inch springform pan and line with parchment paper. Whisk flour, baking powder, salt, and all but 3 tbsp sugar in mixing bowl. Whisk in 2 whole eggs and 3 yolks (reserving whites), butter, water and vanilla; whisk until smooth. 2. In clean bowl of standing mixer fitted with whisk attachment, beat remaining 3 egg whites at medium-low speed until frothy, 1 to 2 minutes. With machine running, gradually add remaining 3 tbsp sugar, increase speed to medium-high, and beat until soft peaks form, 60-90 seconds. 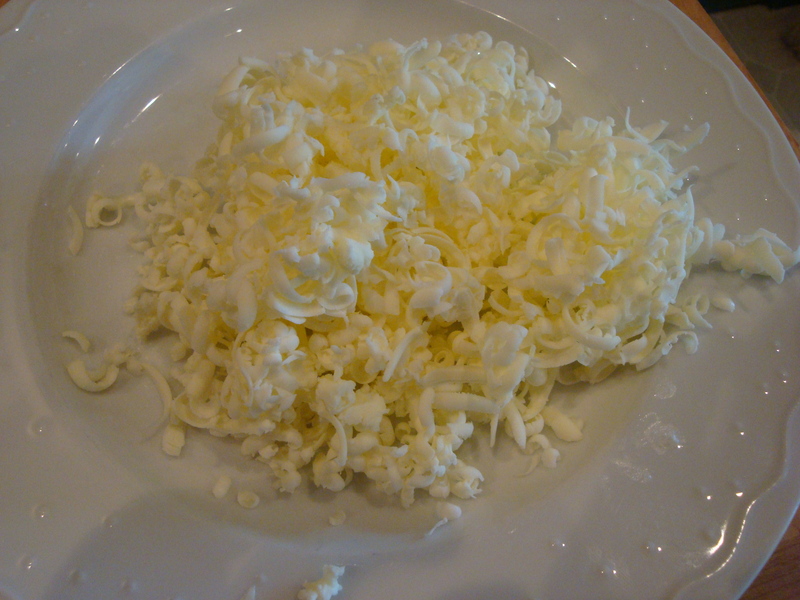 Stir one-third of whites into batter to lighten; add remaining whites and gently fold into batter until no white streaks remain. Pour batter into prepared pan and bake until toothpick inserted into center of cake comes out clean, 30 to 40 minutes. Cool in pan 10 minutes, then invert cake onto greased wire rack; peel off and discard parchment. Invert cake again; cool completely, about 2 hours. 3. For the strawberry filling: Halve 24 of best-looking berries and reserve. Quarter remaining berries; toss with 4 to 6 tbsp sugar (depending on sweetness of berries) in medium bowl and let sit 1 hour, stirring occasionally. 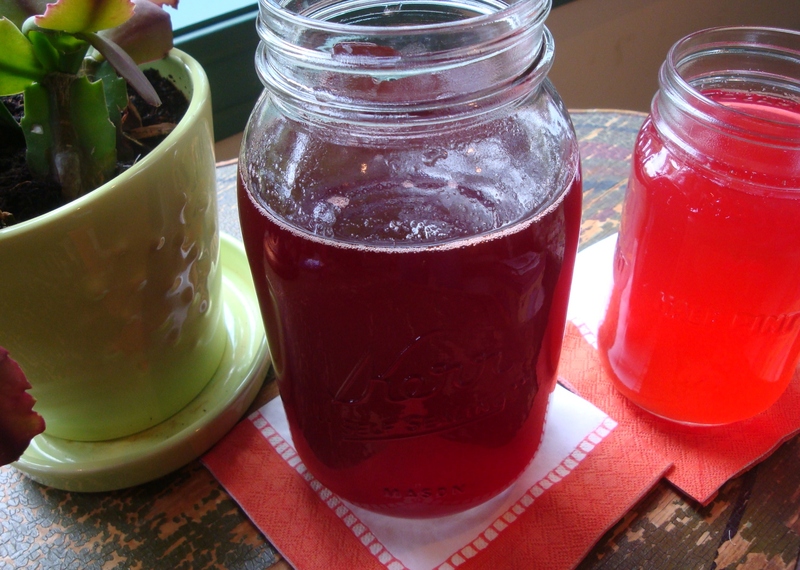 Strain juices from berries and reserve (you should have about 1/2 cup). In workbowl of food processor fitted with metal blade, give macerated berries five 1-second pulses (you should have about 1 1/2 cups). 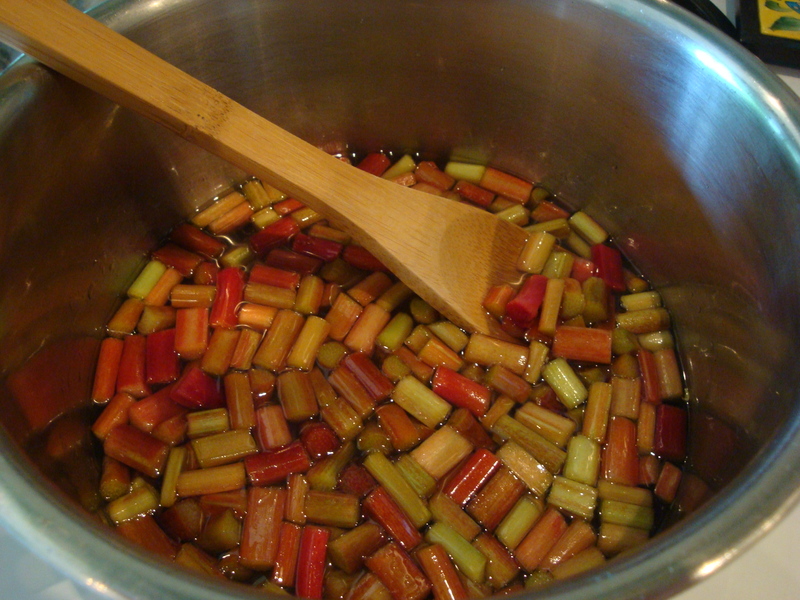 In small saucepan over medium-high heat, simmer reserved juices and Kirsch until syrupy and reduced to about 3 tbsps, 3 to 5 minutes. 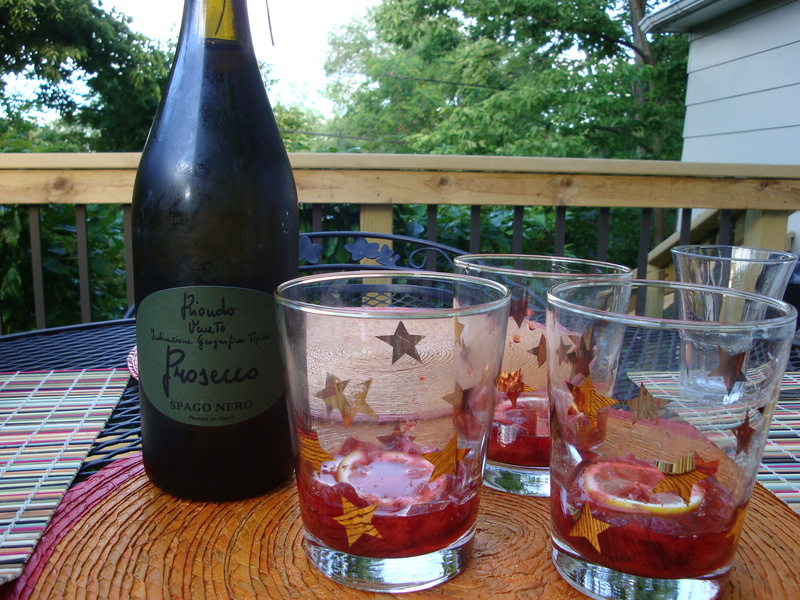 Pour reduced syrup over macerated berries, add pinch of salt, and toss to combine. Set aside until cake is cooled. 4. For the whipped cream: When cake has cooled, place cream cheese, sugar, vanilla, and salt in bowl of standing mixer fitted with whisk attachment. Whisk at medium-high speed until light and fluffy, 1 to 2 minutes, scraping down bowl with rubber spatula as needed. Reduce speed to low and add heavy cream in slow, steady stream; when almost fully combined, increase speed to medium-high and beat until mixture holds stiff peaks, 2 to 2 1/2 minutes more, scraping bowl as needed (you should have about 4 1/2 cups). 5. To assemble the cake: Using large serrated knife slice cake into three even layers. 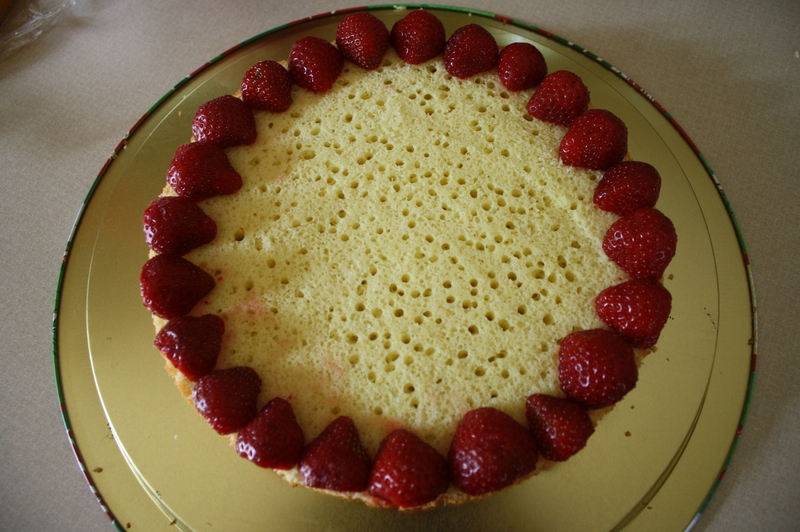 Place bottom layer on cardboard round or cake plate and arrange ring of 20 strawberry halves, cut sides down and stem ends facing out, around perimeter of cake layer. Pour one half of pureed berry mixture (about 3/4 cup) in center, then spread to cover any exposed cake. 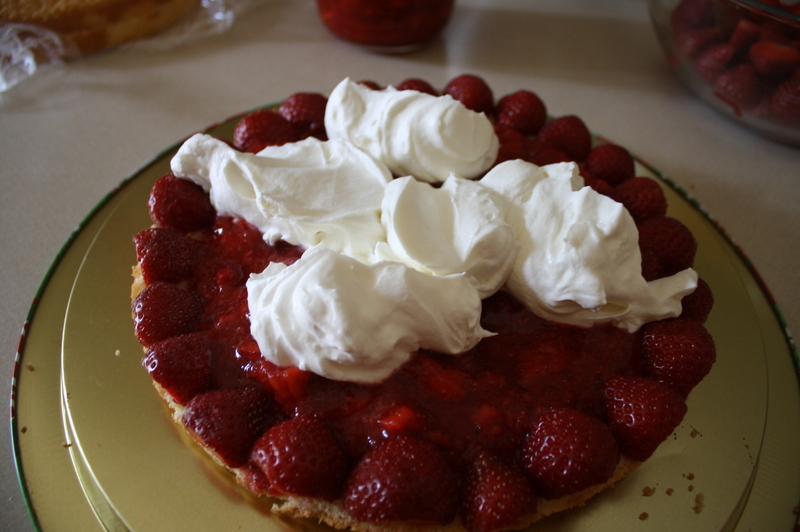 Gently spread about one-third of whipped cream (about 1 1/2 cups) over berry layer, leaving 1/2-inch border from edge. Place middle cake layer on top and press down gently (whipped cream layer should become flush with cake edge). Repeat with 20 additional strawberry halves, remaining berry mixture, and half of remaining whipped cream; gently press last cake layer on top. Spread remaining whipped cream over top; decorate with remaining cut strawberries. Serve, or chill for up to 4 hours. 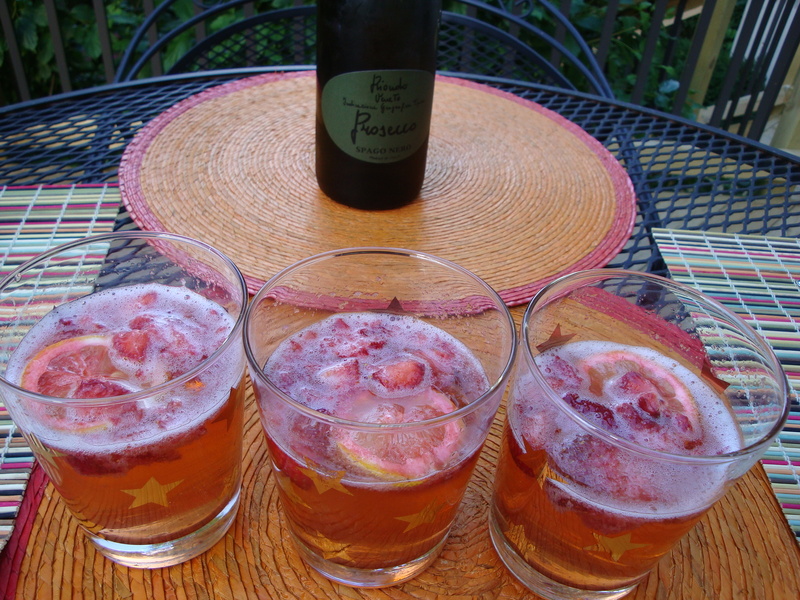 Strawberries – keep it simple! The Farmers’ Markets this weekend were amazing in their abundance of so many things that I love to eat and cook with. I especially love the short window of time in June when Russ Willenbring of Produce Acres, who I introduced in an earlier post, has both asparagus and strawberries. And this Sunday, Randy and I got to the Minneapolis Farmers Market early- before he had sold out of either item. We hit paydirt! I am inspired to title this post “keep it simple” as I did on the one for the asparagus because with produce this good, that’s the best approach to taste all the deliciousness. I’m crossing my fingers that there is one more week left of strawberries so I can have them next Sunday for Breakfast at Wimbledon. Well not really “at” Wimbledon, but more like “for” the Wimbledon final that I will be watching on my TV. 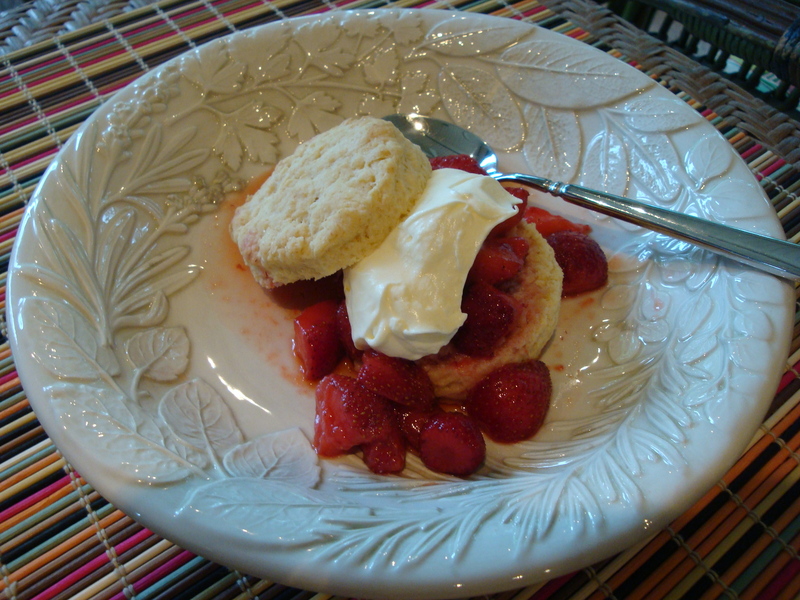 The simple approach that I recommend is Strawberries with Cream Scones. These scones, from the Joy of Cooking, use heavy cream in place of butter and eggs and are a snap to make. While I like the eggs/butter recipe for when I’m eating the scones by themselves, this recipe isn’t as rich, so it pairs better with the fruit – and whipped cream, of course! Pre-heat the oven to 425 F. Whisk the dry ingredients together in a mixing bowl. Pour in cream and stir with a wooden spoon until it starts to incorporate into the dry ingredients. Continue to blend in the cream with your hands by kneading against the side of the bowl until thoroughly mixed together. Be careful not to overprocess. Turn out onto a floured surface – I like to use a pastry cloth, but a granite or wood surface or wax or parchment paper all work well. Pat to about 1/2-inch thick. 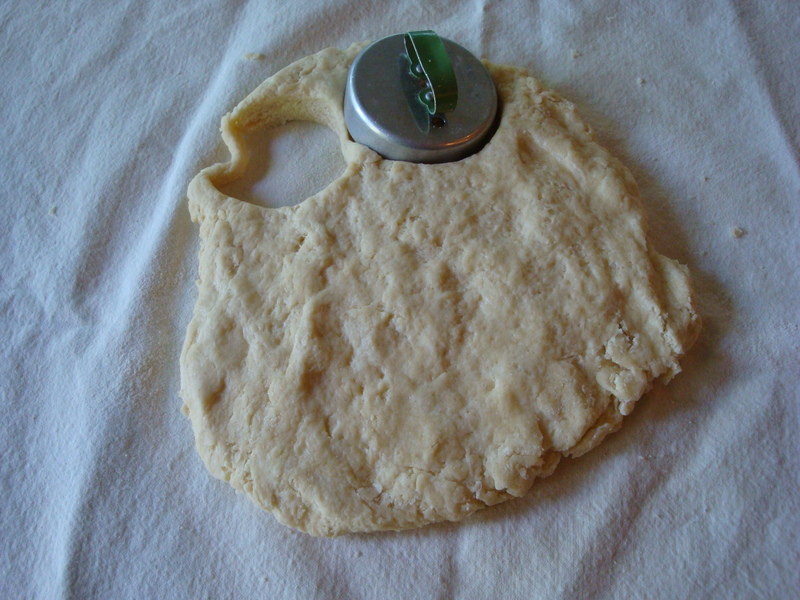 Using a bisuit cutter or top of a glass, cut out as many scones as you can. This time I made my dough a little thicker and got 10 scones, although the recipe is for a dozen. 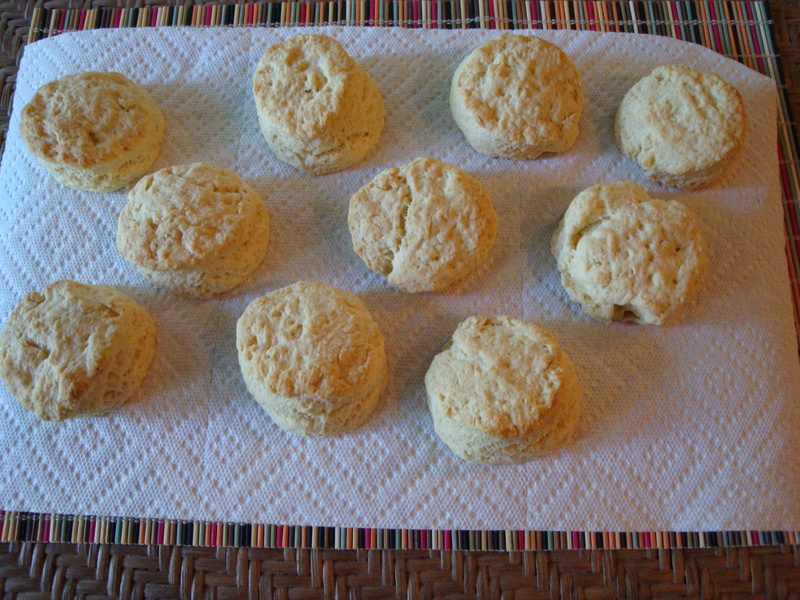 Place scones on an ungreased baking sheet and bake for 12-15 minutes, until tops start to turn golden. Place on a rack to cool slightly. 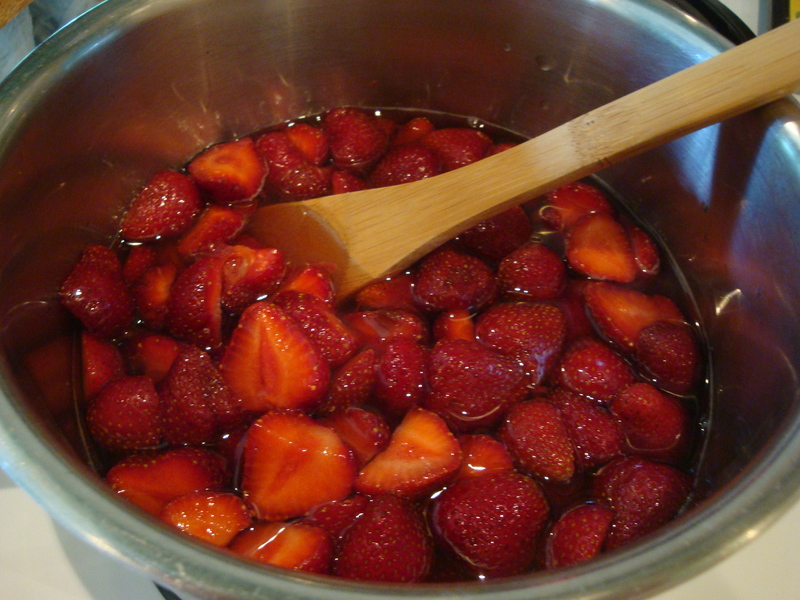 Slice in half and place in a bowl as many strawberries as you want to use immediately. Put a little sugar on them to taste. Let them sit for 30-60 minutes so the berries expel some of their juice. When ready to serve, whip heavy cream using a wisk or a mixer till soft peaks form. Add just a little sugar to taste and continue to beat until a little thicker. Don’t over do it (like I did today :-)) or it will get to thick and on its way to becoming butter. To serve, cut a scone in half and place in a bowl while still warm. (Or, if the scones are no longer warm, heat them up a little in the oven or toaster oven.) 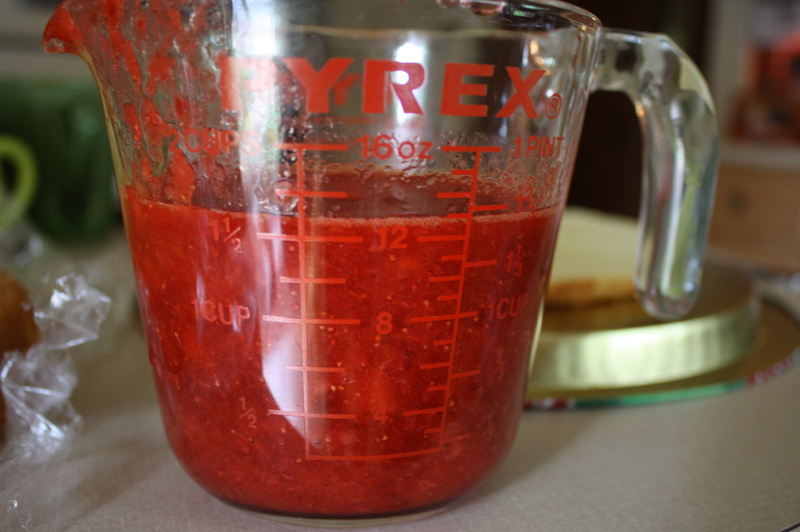 Ladle strawberries with some juice onto one side of the scone, cut side up. Place some of the cream on top and then place the other side of the scone halfway on top of the berries and cream. 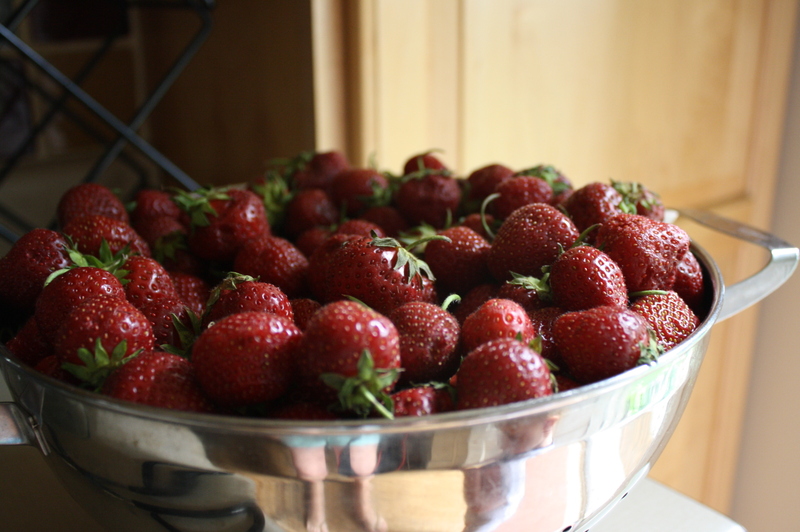 Strawberries have been available for a couple of weeks up here in Minnesota and I can’t get enough of them! There are so many things one can do with them from the simple – on top of a morning bowl of cereal – to more difficult – like fancy jams and preserves. 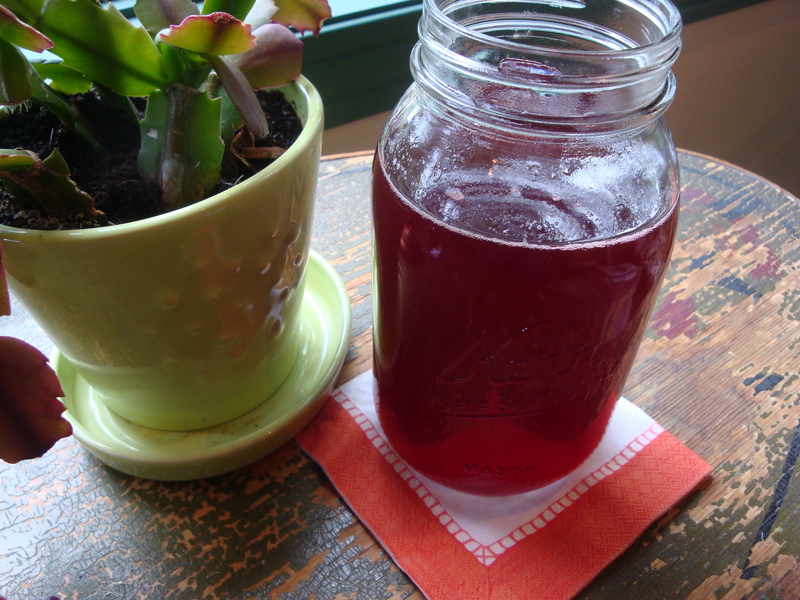 One of my favorite new things that I discovered last year is this drink which is made for summer. I’ve served these twice recently and think that more are in my future. They are a great reason to invite people over to hang out on the deck or the front porch now that it is officially summer! 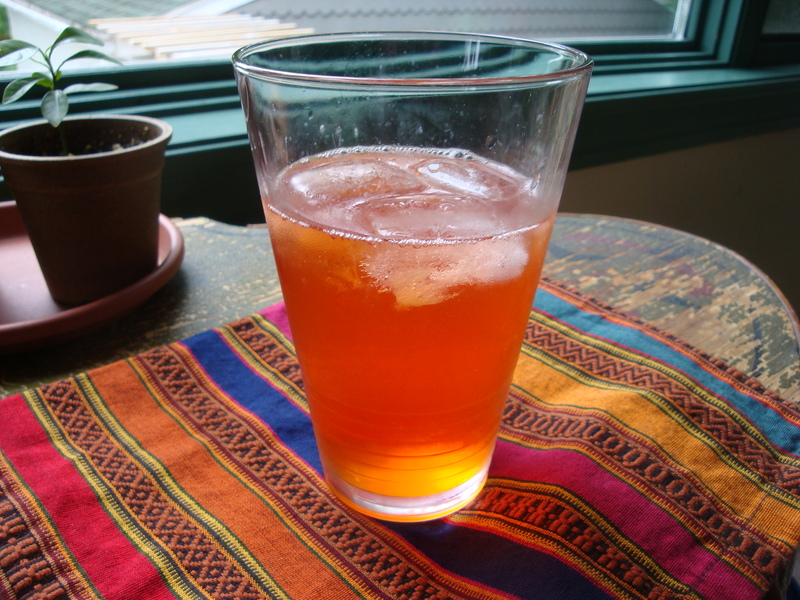 Make a simple syrup by placing 1/2 cup sugar and 1/2 cup water in a saucepan. 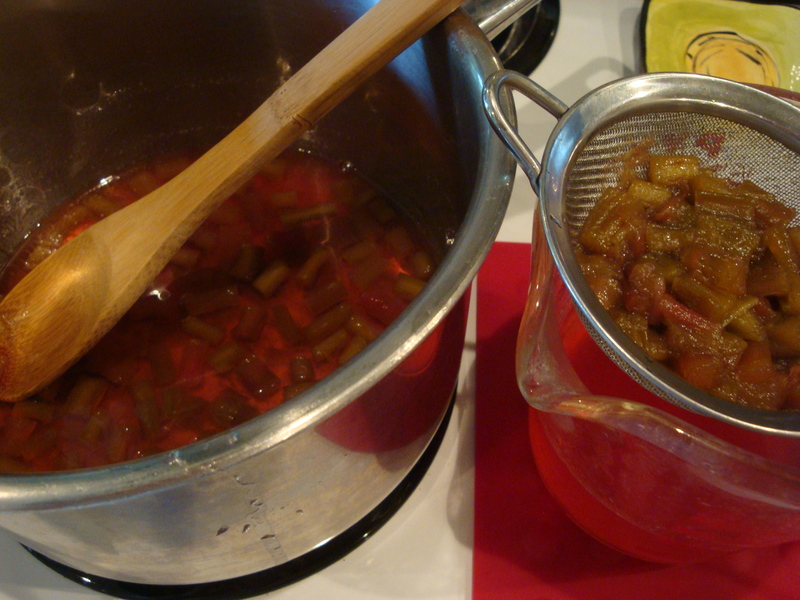 On medium heat, stir till the sugar dissolves. Turn up heat and bring to a boil for 1-2 minutes. Cool the syrup. This will make enough syrup for about 12 drinks. 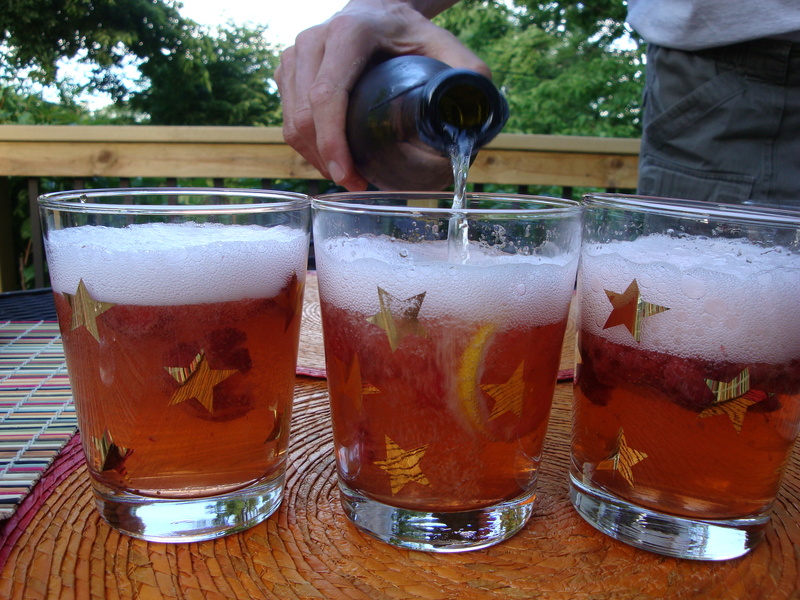 In double rocks glasses, place about 1/3 cup strawberries that have been hulled and cut in half. 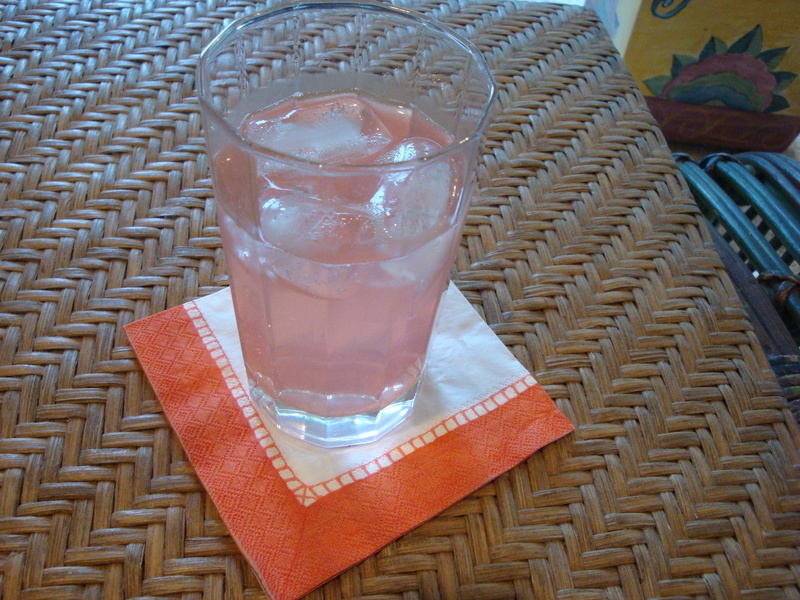 Add 1 tablespoon of the cooled simple syrup and then “muddle” by mashing a little. Add 1 slice of lemon and press to release the juice. While the recipe did not call for this, I think it’s good to let this sit for 30-60 minutes – if you can wait that long, that is.